I was finally able to vent my near-homicidal rage against television journalists and concentrate on the issues (imagine that!) in the final presidential debate Monday night. As usual, I was left wondering if Mitt Romney actually hears the words that come out of his mouth. Twice, the former Massachusetts Governor told President Obama that, “Criticizing me is not a foreign policy.” That seems like a noble statement, except Romney spent almost the entire debate criticizing the President while offering only a vague phantasm of what he would actually do if he wins on November 6. Romney criticized nearly every aspect of Obama’s foreign policy, from the drone strikes that killed al Qaeda’s leadership, to his use of economic sanctions on Iran, to when he “skipped Israel” during a trip to the Middle East. Obviously, debates are all about criticism, but if Romney wanted the President to say something constructive instead of just attacking, why didn’t he? Instead, Romney went for semantics. He said he would put tougher sanctions on Iran, and label China a “currency manipulator,” which is apparently more severe than actually prosecuting China for trade violations, as Obama has done. When asked what he would do if Israel decided to attack Iran’s nuclear weapons facilities, Romney begged off saying he wouldn’t answer a hypothetical question like that. Instead, he used the time to attack Obama… again. 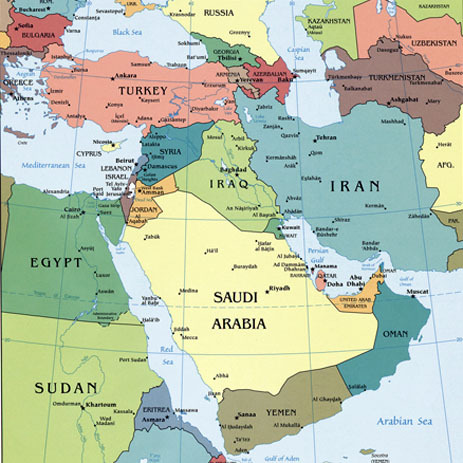 Perhaps it was because Romney didn’t know how long it would take Israeli planes to reach Iran: earlier in the debate, he said Syria was an important ally for Iran because it gave the latter access to the sea. Iran has its own coastline, and the two countries do not share a border (Iraq is in between). So much for building a foreign policy on ideas instead of criticism. Obama, on the other hand, gave specifics, as he always does. He outlined the aforementioned cases against China, and reminded Americans who was responsible for eliminating their arch enemy, and a dictator that even the Republicans’ favorite president, Ronald Reagan couldn’t take down. Conservatives probably have their own criticisms regarding Obama’s policies, but what I want to emphasize here is Romney’s “do as I say, not as I do” mentality. If attacking your opponent doesn’t help build a foreign policy, then stop wasting time attacking your opponent. It goes both ways. Romney doesn’t seem to think the laws of language apply to him; he thinks that he can say one thing and have it mean something else. That is one of many reasons why he is unfit to be our president.